Each summer, we run a few sublime weeks in the French Alps hiking, glacial lake swimming, white water rafting, biking and paragliding. We also adventure into the spirit, mind and body with our yoga teacher. Here is a beautiful review from Sarah, a guest. I have been through a significant period of physical and emotional upheaval and turbulence. There has been grief, anxiety and fear. Self-preservation and survival mode has become the modus operandi with self-care paling into insignificance. 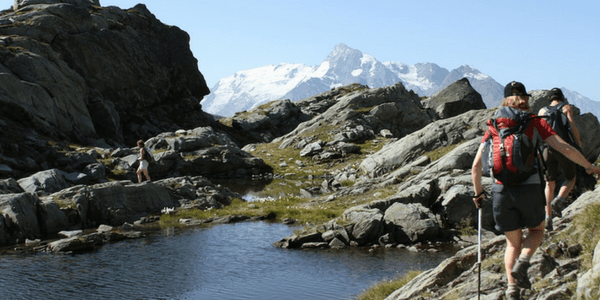 With just one week of holiday available to me this summer and with a growing awareness that burnout and breakdown might be just around the corner, I took the decision to book a week in the Alps with Adventure Yogi. Knowing that yoga was something I had enjoyed during happier times, this seemed like the time for it. It was hard to come away. Just a couple of hours before leaving I was still in my office frantically trying to cross a few more things off the seemingly never-ending to-do list, my suitcase still not packed. I almost cancelled. Work was frantic, there was too much to do. How could I come away and relax? But I had paid my money. I didn’t want to let down my travel partner. Deep down I knew that I needed a break. I made it. Arriving at the beautiful alpine chalet that would be home for the week we were met with the warmest of welcomes. After a short time to settle in, our instructor announced the beginning of our first yoga session. We were invited to introduce ourselves and explain what had brought us on the retreat. I explained that I wanted to try to get back on my mat and rediscover yoga and see whether I could find a way to incorporate it into my life again. With sparkling eyes and smile of compassion and deep joy, my teacher told me that I was there… I was back on my mat and that I had achieved my goal. I sighed a breath of relief and knew that we were in safe hands and that it was going to be an inspiring week. There was a wide range of abilities on our retreat, from the complete beginner to the aficionado. 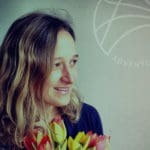 Before arriving on the retreat I was apprehensive about my being out of practice, lacking strength, flexibility and finesse in my yoga but from the first session, my teacher found a way to connect with every single person, offering variations and successfully building our practice elementally throughout the week. Every single person has made improvements in their physical practice but this has not been the most significant effect of the week. 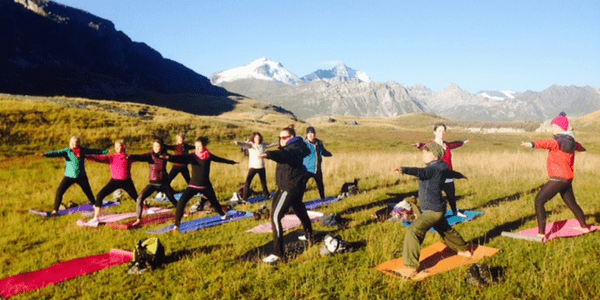 Throughout our alpine adventure, our teacher explored with us the philosophy of yoga, the connection between body, mind and spirit. We have explored the chakras, the elements, the divine energies of Shakti and Shiva, delving into the spiritual aspects of the practice. We have talked about the life force of prana and explored pranayama techniques. We have also listened to some beautiful poetry and through the gentle words spoken by our teacher during savasana, we have each been able to find our own meanings, our own interpretations and messages for our lives. Each one of us has been deeply touched and I believe each of us will leave here taking yoga into our lives. My own personal revelation came around day three where I finally found a release, and allowed myself to relax and breathe. I cried during savasana. I cried with relief, with gratitude and from the realisation that something profound was happening for me. I was making progress towards being a kinder, more gentle and compassionate version of myself. My teacher consoled me with a gentle touch and later helped me to explore my emotions and experiences more in subsequent individual sessions fitted in around our daily activities. Through our conversations, her inspirational words and her mind-blowing intuition I have made great steps during this week. I am healing. And I will continue to heal. Working with my energy, my teacher has helped me to explore meditation and for the first time in a long time I have found some stillness. My brain has quietened and I am not living solely in my head. I have found time to simply be. To accept where I am right now and realise that the difficult times will help me to grow into a stronger, more authentic version of myself. Like a feather, I will find the strength and purpose that is within me and yet live with softness and kindness for myself. 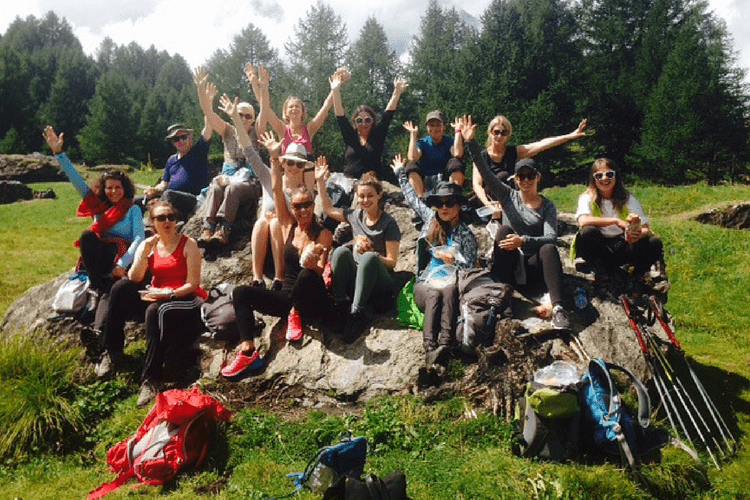 Our Alpine holiday with Adventure Yogi has also offered a plethora of different activities and experiences. We have climbed mountains, rafted rivers, swum lakes, watched eagles soar, done sunrise yoga at 2200m and visited resorts such as Tignes, Val d’Isère and Les Arcs. And all this accompanied by the breath-taking scenery of the Alps. We have all enjoyed the wonderful hospitality of our hosts Andy, Sue, Jess and Will. We have been treated to exquisite vegetarian feasts each evening and it has been a joy to get to know each member of the group and enjoy the wonderful company and conversation. I speak for every member of our group when I thank the whole team who have made this experience what it has been. We have been looked after to the highest of standards and I feel blessed to have been here in these majestic surroundings. I will be forever grateful to my teacher for sharing her wisdom, her passion and her joy with us. And I know that when I step back on my mat in London I will hold this experience in my heart.